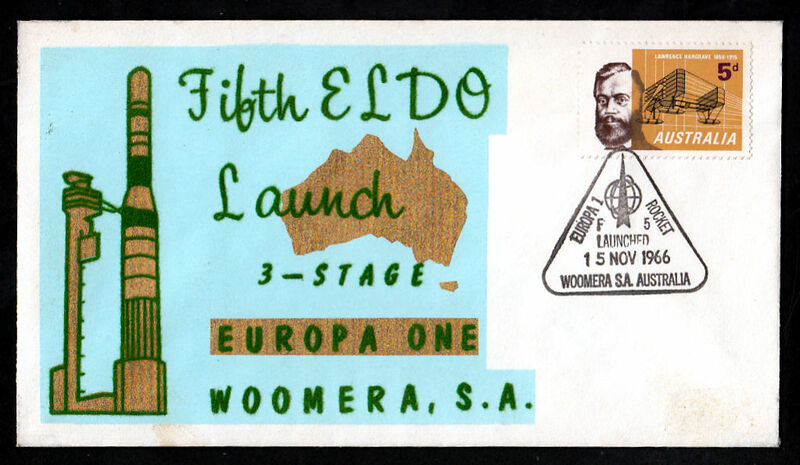 This table represents event covers released for the ELDO series of rocket launches from the Woomera Rocket Range, South Australia. 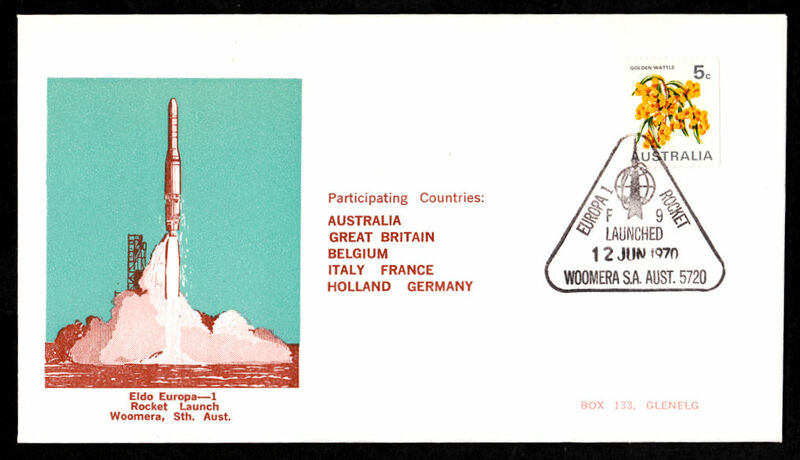 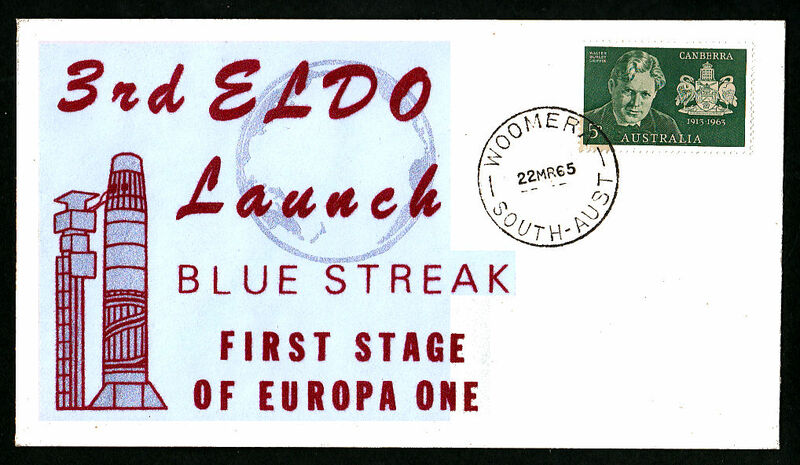 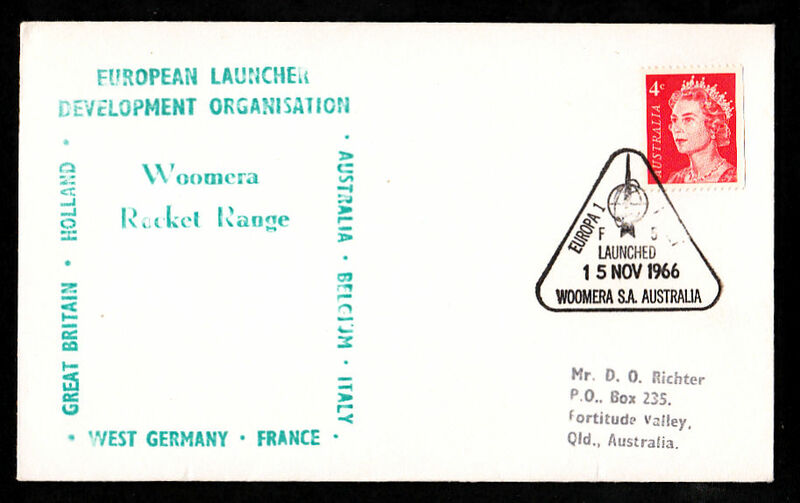 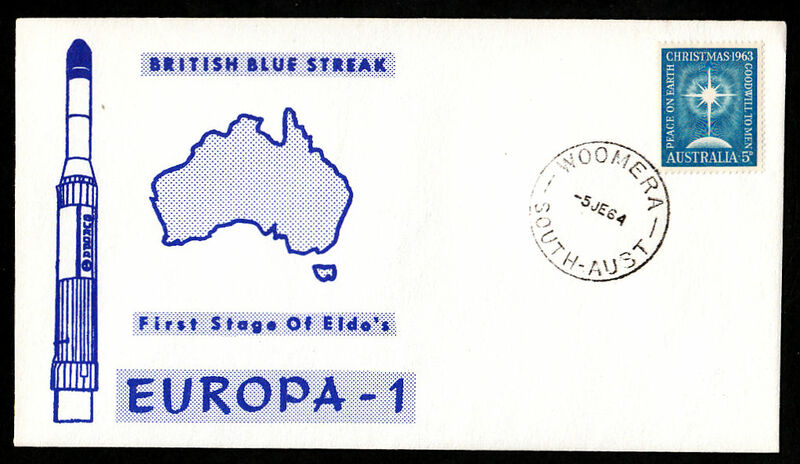 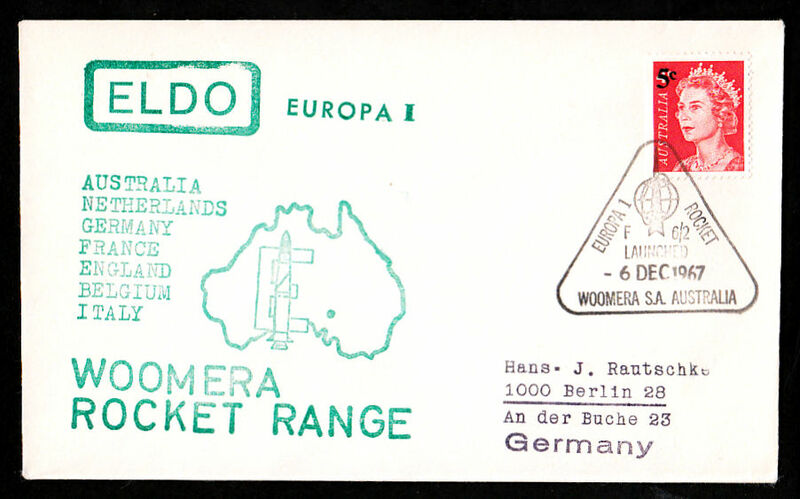 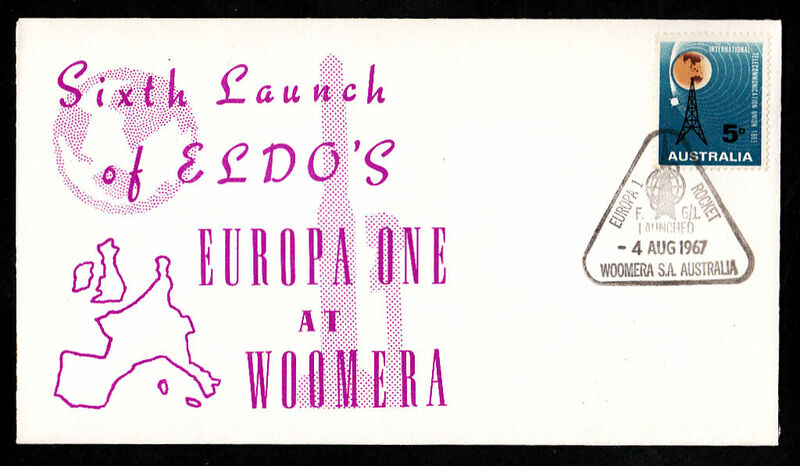 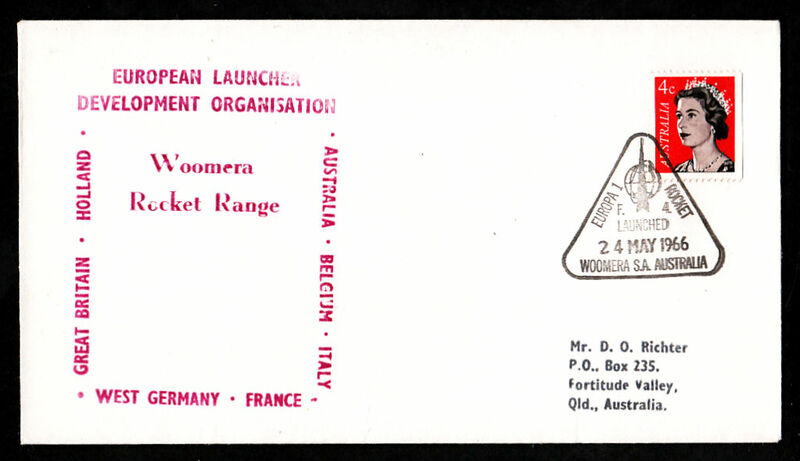 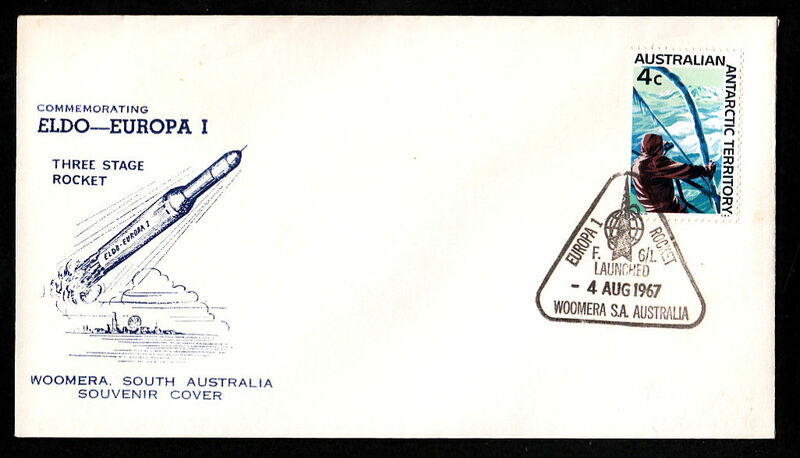 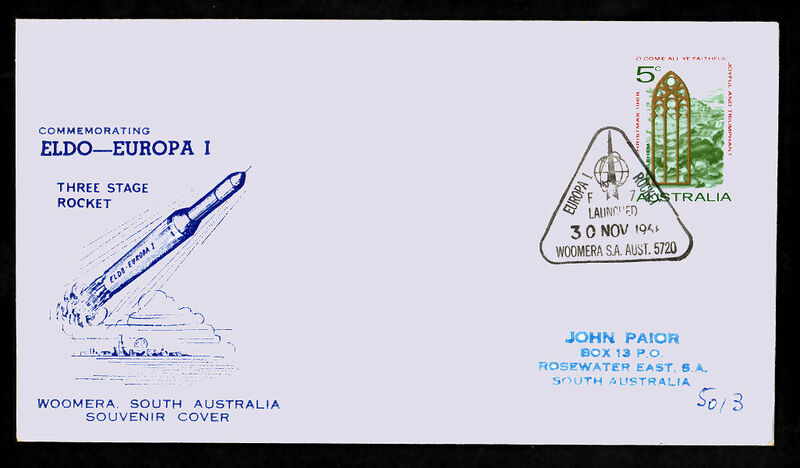 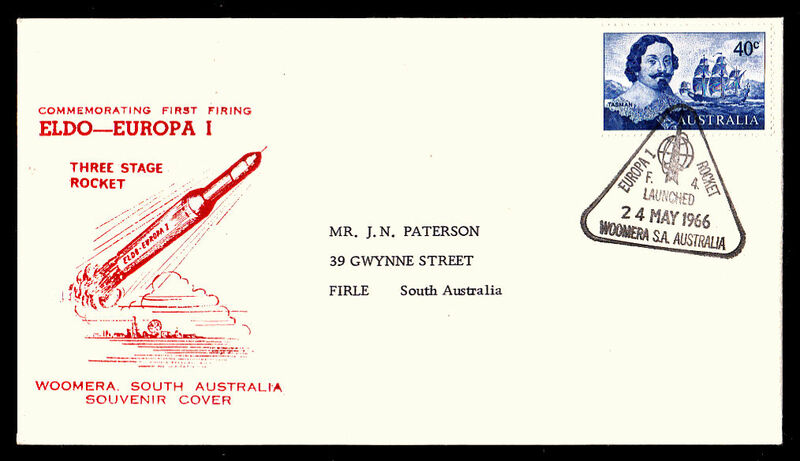 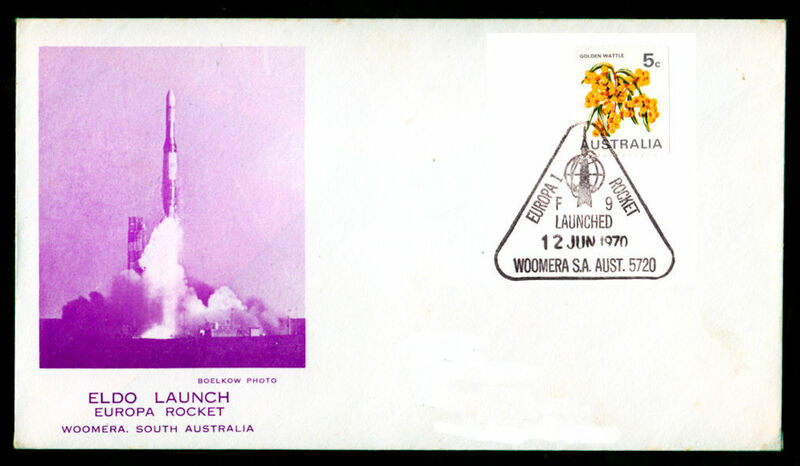 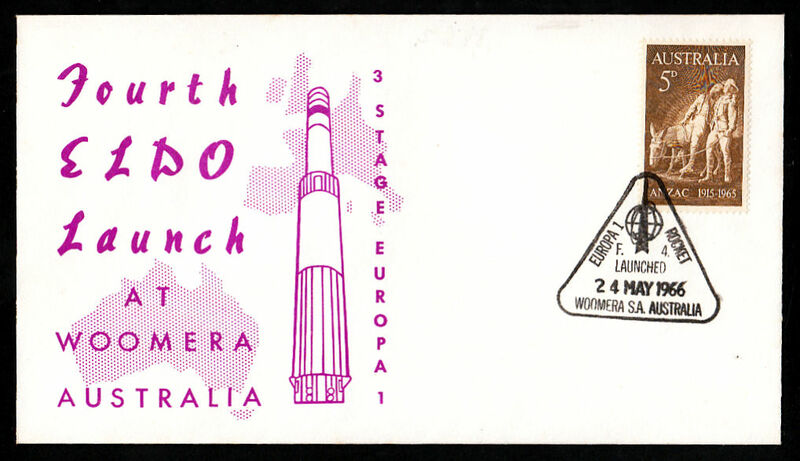 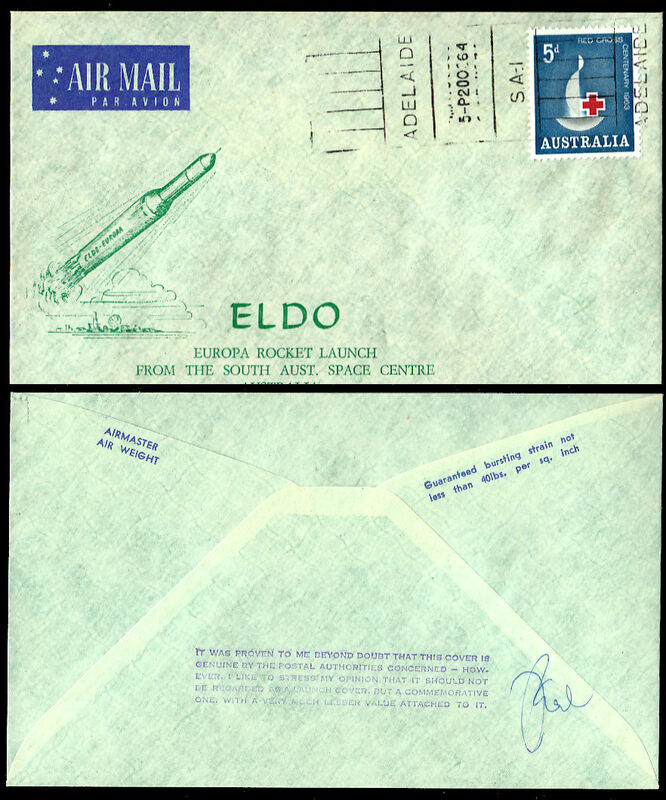 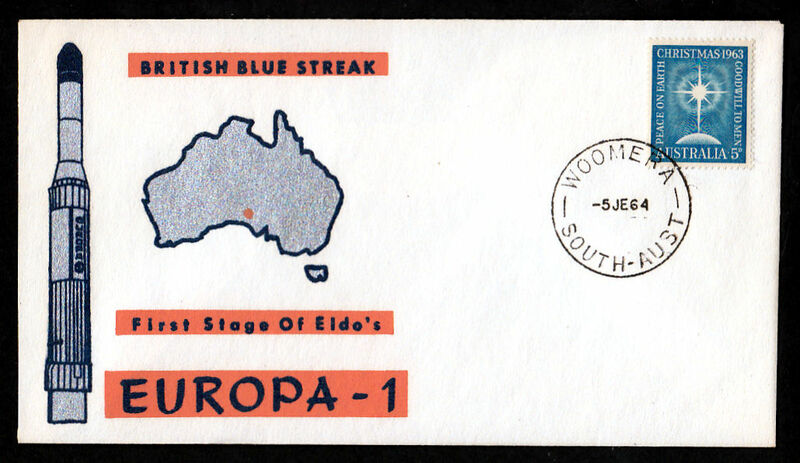 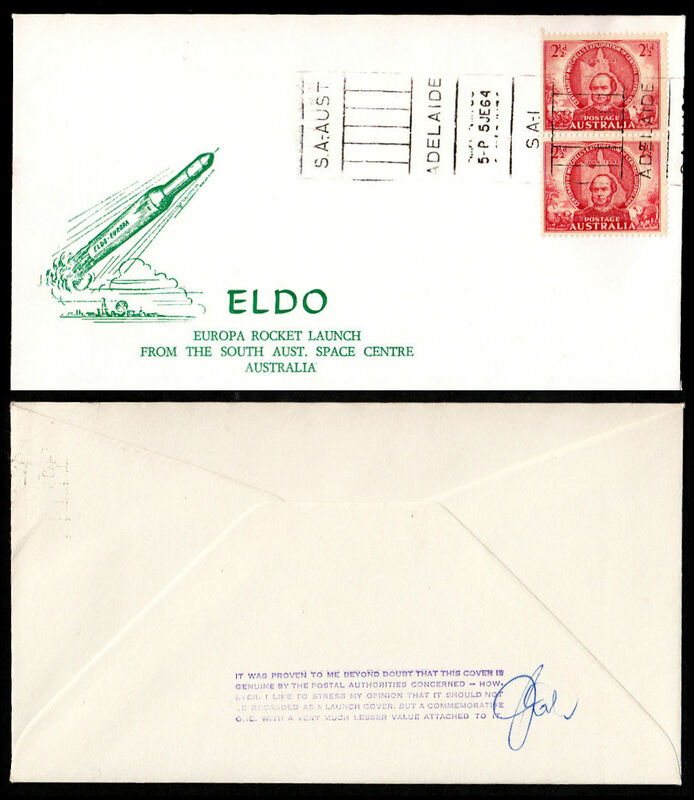 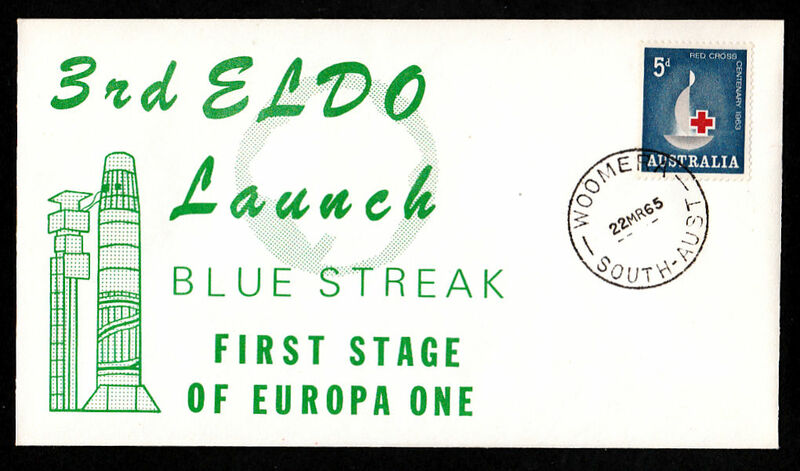 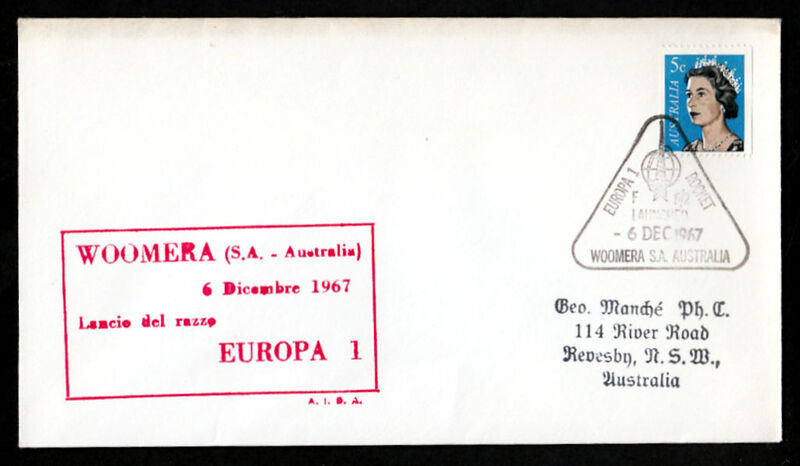 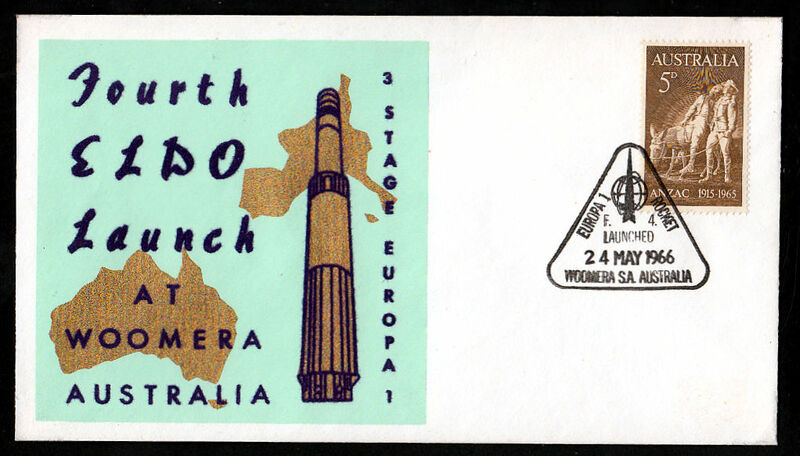 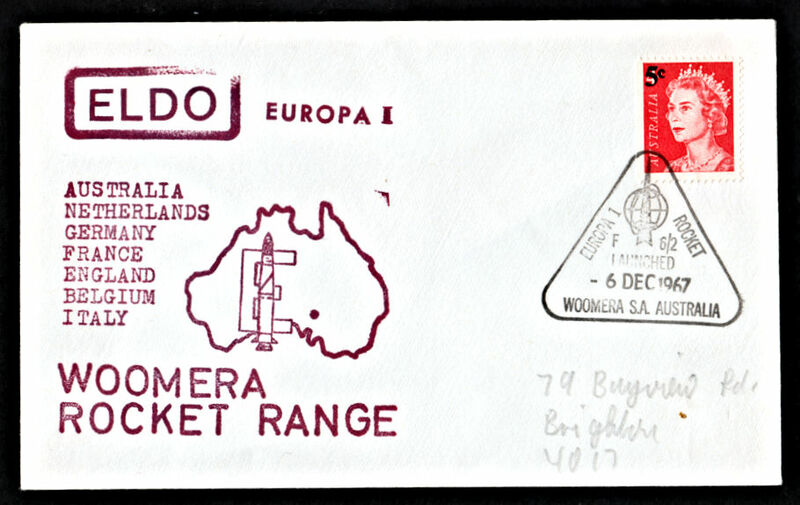 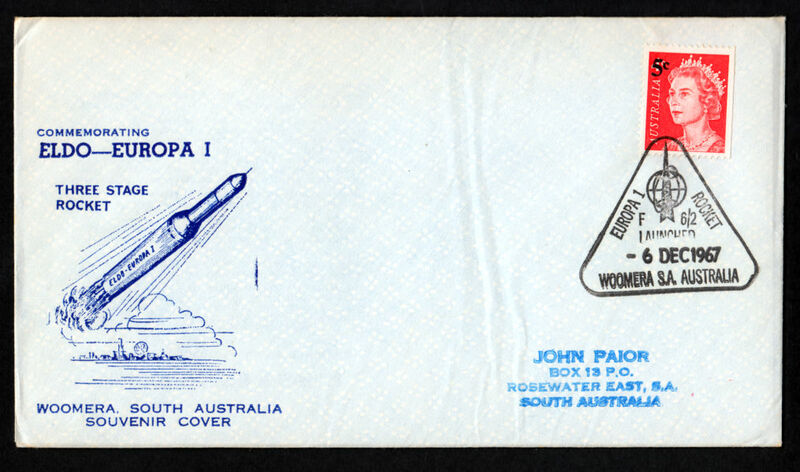 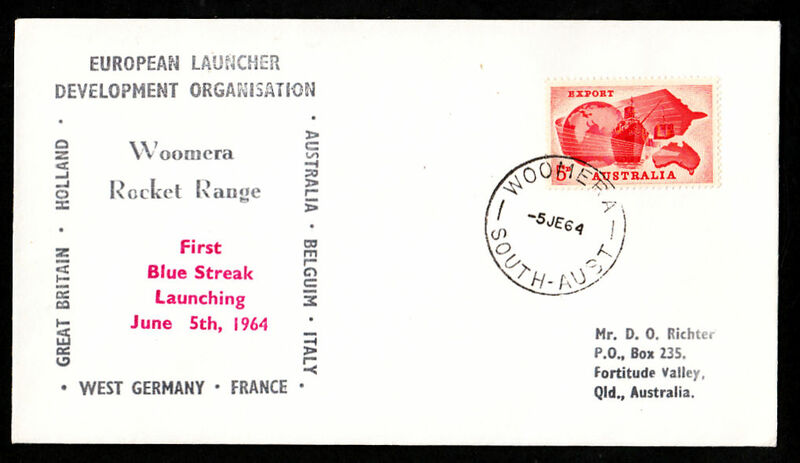 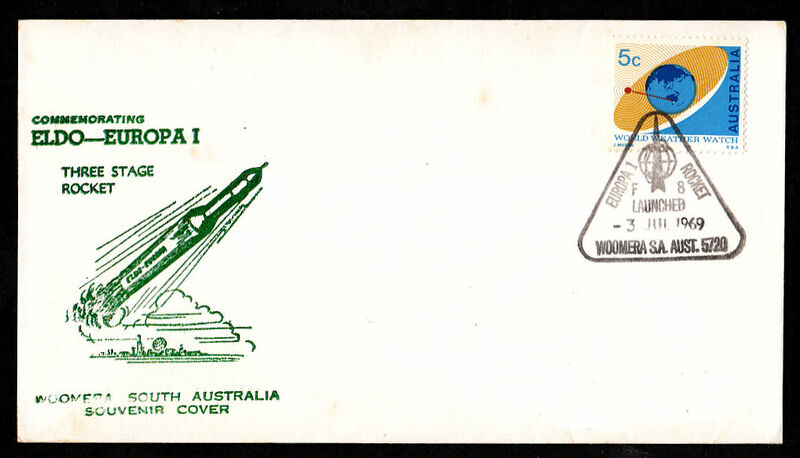 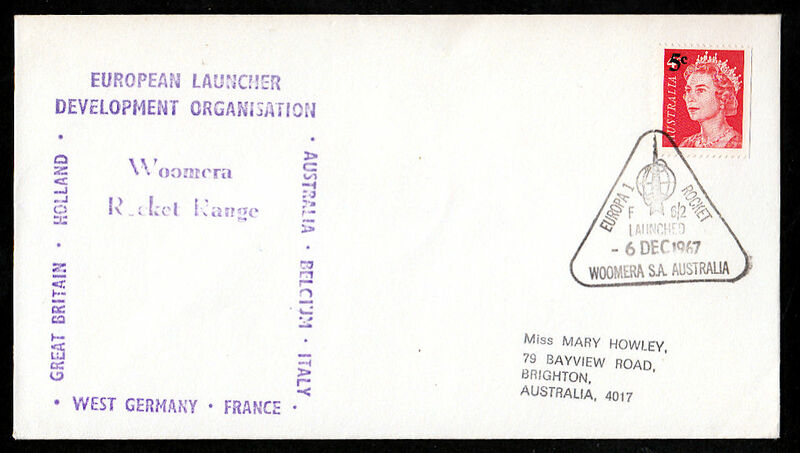 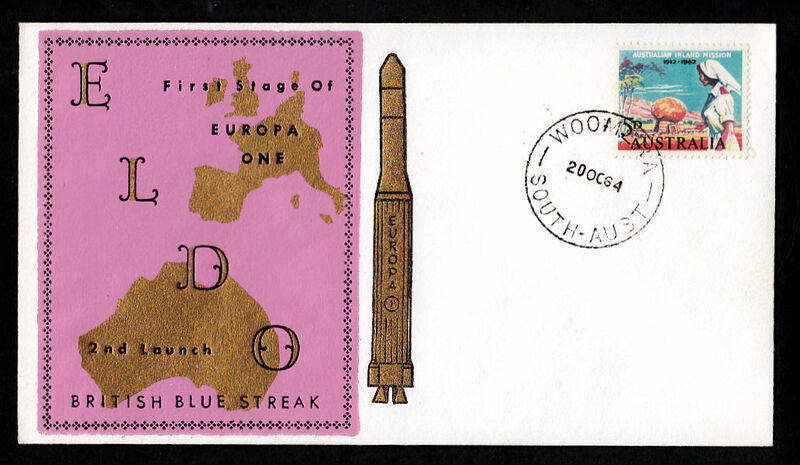 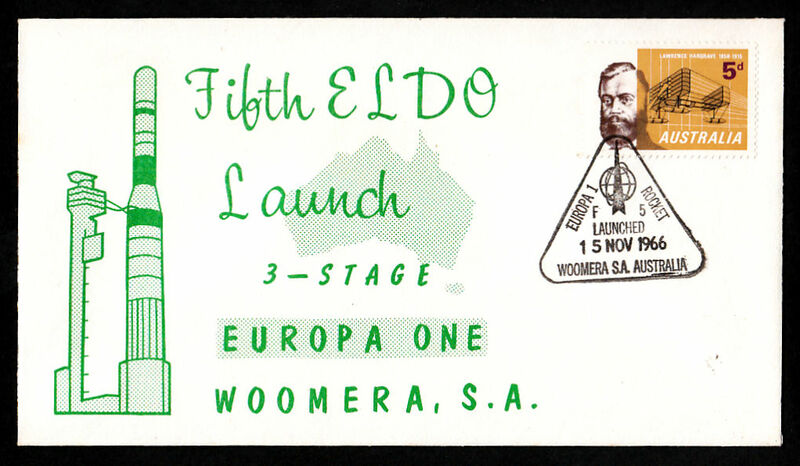 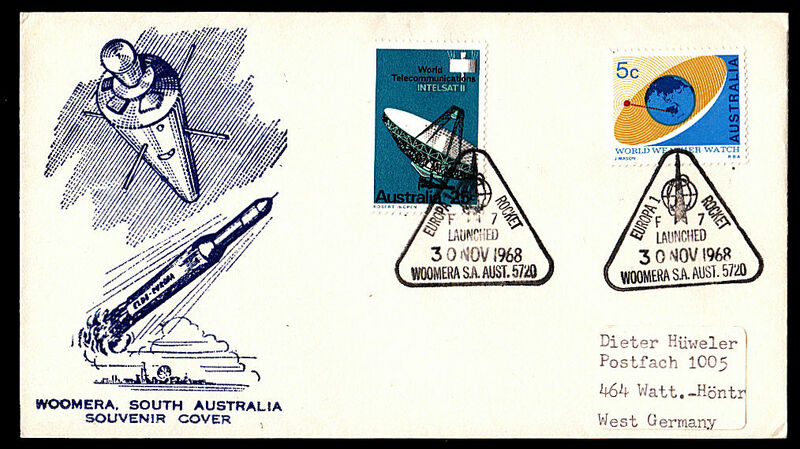 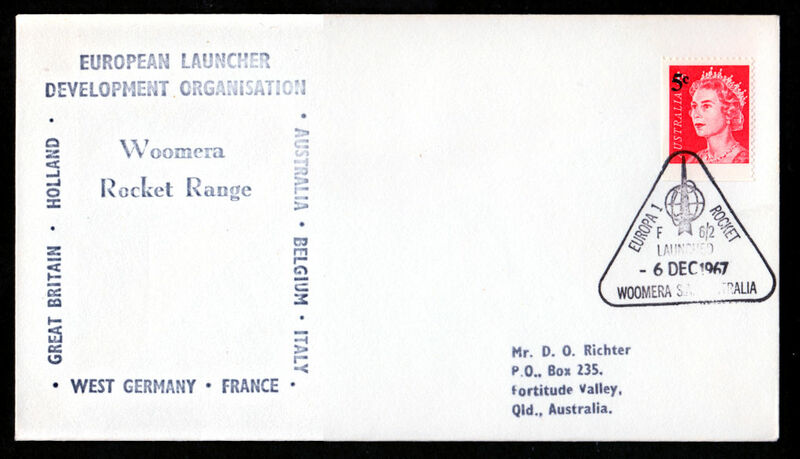 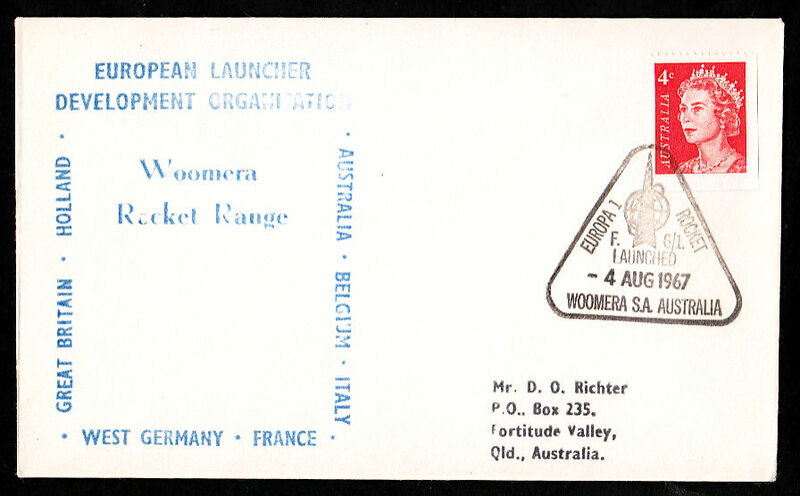 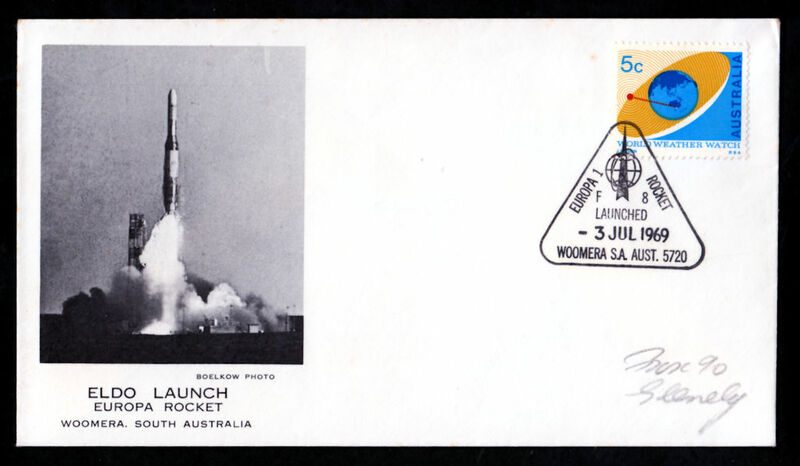 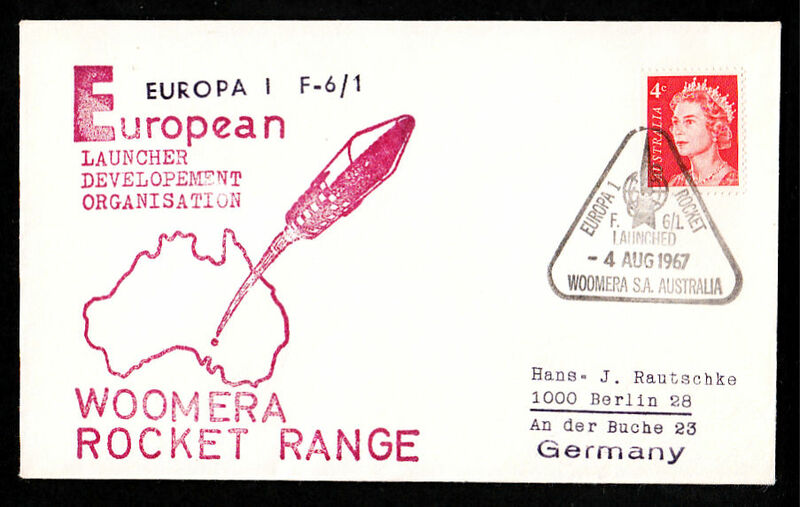 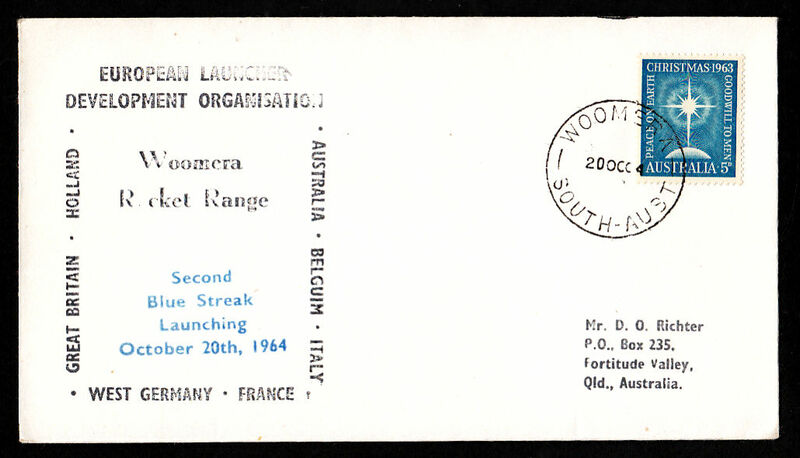 It should be noted that for the first three launches, no special postmark was available and thus standard Woomera postmarks are appropriate. 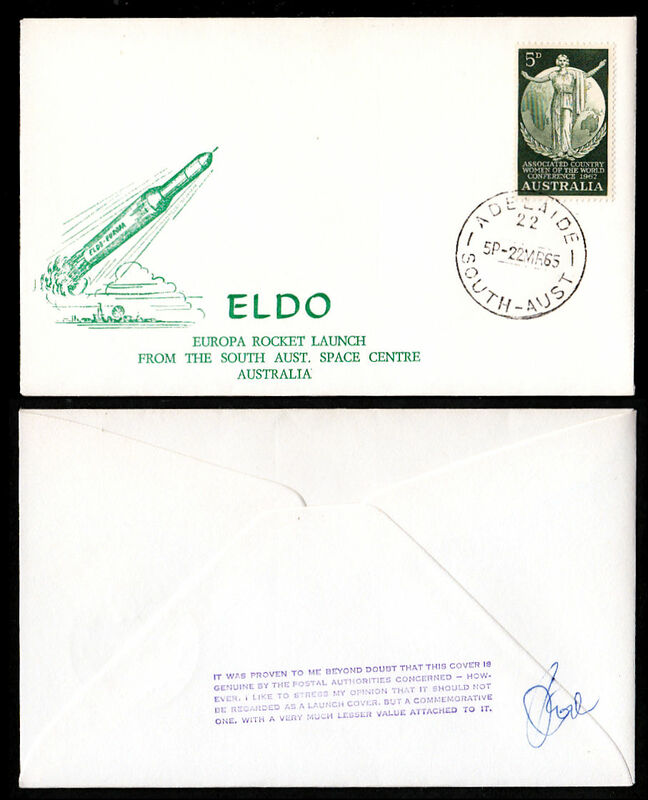 These are the rarest of the covers with the third launch cover being harder to find than the first two. 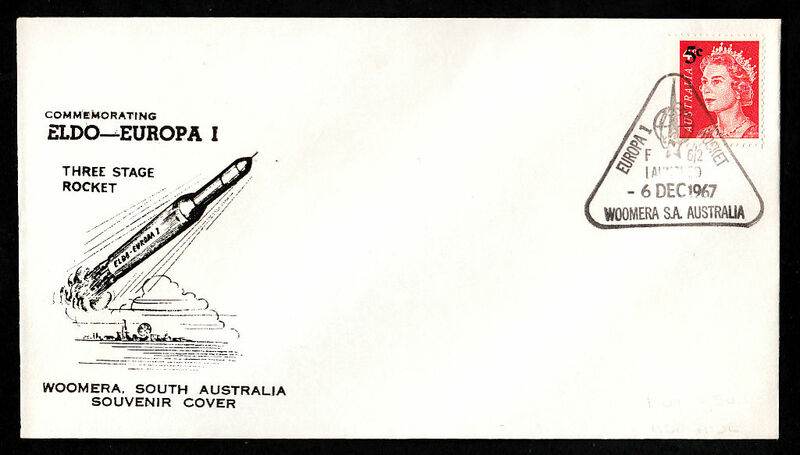 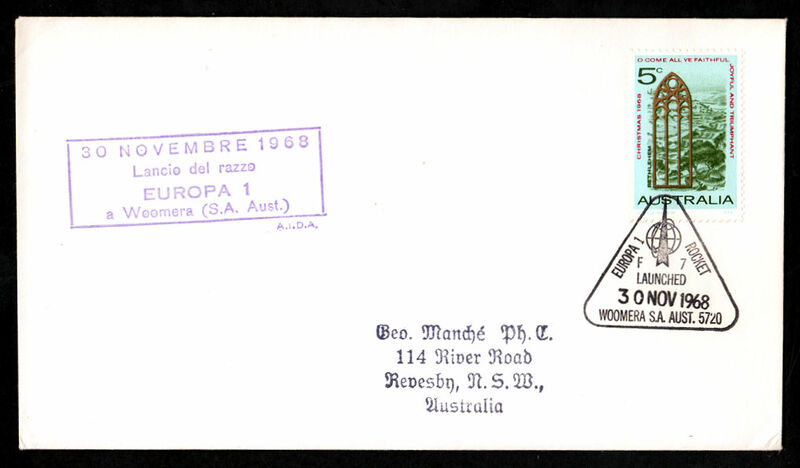 For the rest of the launches Australia Post produced special illustrative postmarks which only differ by the addition of the mission number. 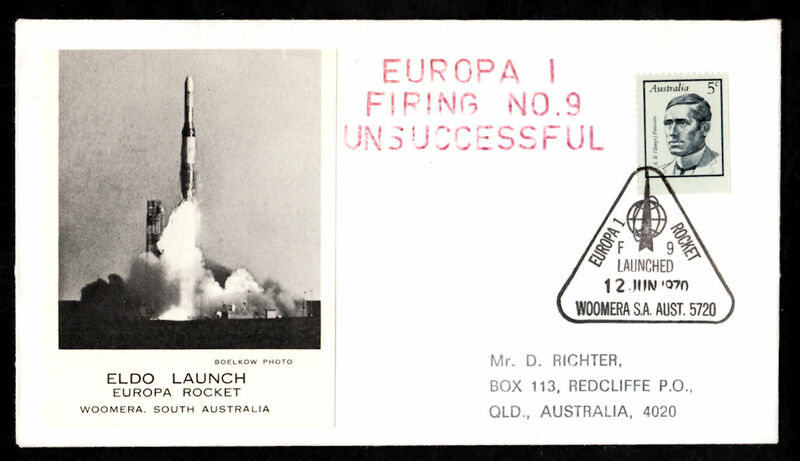 Click on EXTRA to see Tracking covers plus extra Launch covers. 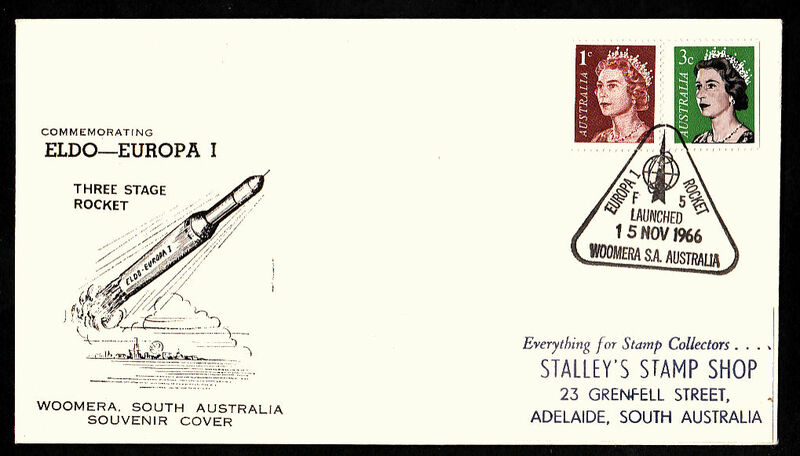 3) Only seen on tracking station covers. 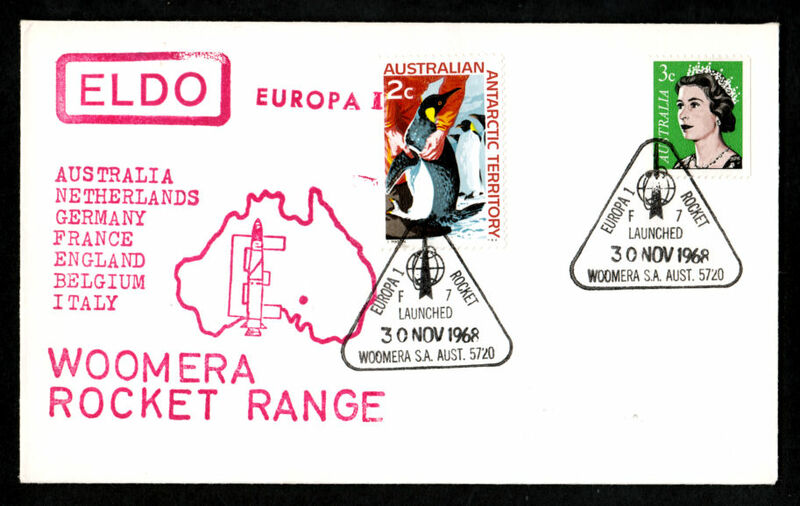 See EXTRA.